I am always delighted when I cook a meal and see my family enjoying it. But I will admit to feeling quite triumphant when I see them all digging in and enjoying a meal that I know is full of healthy goodness. I am always trying to find new ways of getting extra vegetables into their meals and them eating the meal with no questions asked, which we all know can sometimes be difficult with children. We are currently changing our diets to include more meat free meals and less meat. At the moment it is simply trial and error to see what the children will and won't eat. So when I find a meal, like this one, that is a success with everybody I love to shout about it! 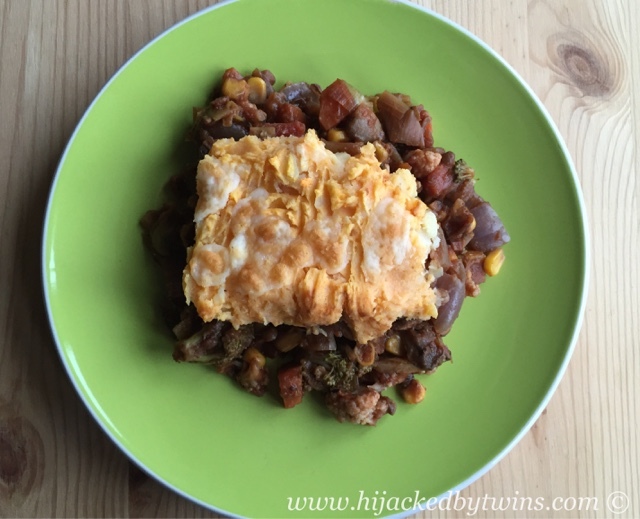 Shepherds pie is a family favourite of ours so I did hope that it would go down well and I certainly was not disappointed. Not one person questioned what it was or where the meat was or why I had cooked it differently. Not even my 11 year old who has something to say about everything! 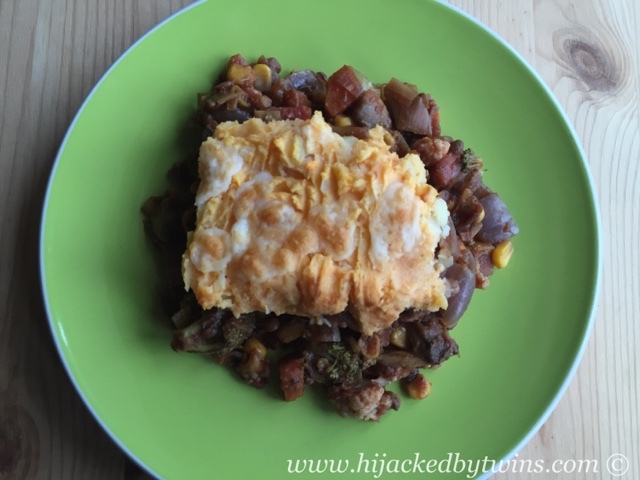 This meat free version of shepherds pie contains nine different vegetables and green lentils. But that is not where the goodness stops. 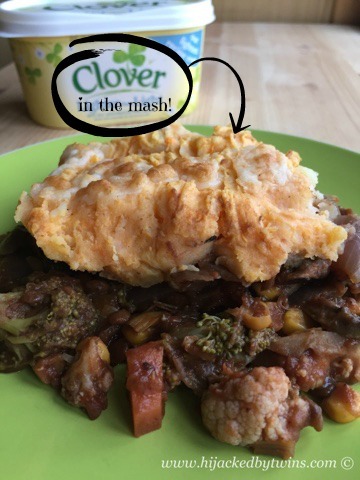 I have also substituted the butter in the mash for Clover. Clover is better for you than regular butter. It contains half the saturated fats than regular butter but still has the same great taste. Clover is made with naturally low fat buttermilk and contains nothing artificial. 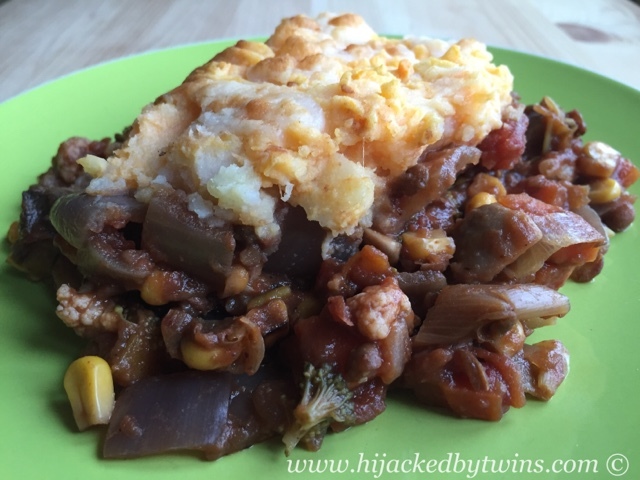 With the extra vegetables and a healthier spread this really is a healthy meal which the whole family will love! This meal can be served as it is or with extra gravy. Either way I can guarantee that any fussy eaters will not be able to tell the difference. The green lentils made a delicious meat substitute and I will certainly be making this change again. So many delicious things in this! Definitely the time of year for warming dishes like this one. Yum. I love cottage pie as a way of getting extra beg into the boys! This looks yummy. I love lentils and i'ts nice to see other ways of cooking them. Sculptress - A Great Way to Kick Start the Diet!